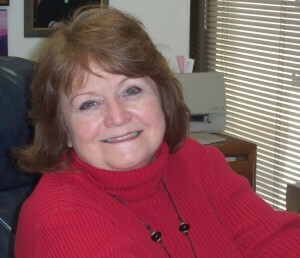 Bonnie L. Waller, who’s family is rooted in Texas, grew up in Southern California. She bought her first home at the age of 21 and that is when she decided to enter the business because she saw the need for quality service to everyone – not just the high-dollar customers. So, since 1973, she has made it her goal to help meet the needs of the customers who come her way. As a top producer of this Company, she enjoys the fact that most of her business is repeat and referral customers, but also enjoys assisting new customers who need her help. She continues to keep abreast of new technology to offer the best service possible to her customers. She realizes that good service goes way beyond the sale. She helps her customers find jobs, new friends, churches, professional medical and dental care, household repairs and maintenance, music lessons, private schools, babysitters, scenic photo places, private financing, etc. As a parent of children ranging from 17 thru 33 in a “blended family”, with three still at home, she understands the needs of a family. Her oldest is a Master of Traditional Chinese Medicine and her #2 Son is a Chief Petty Officer in the Navy stationed in Norfolk, Virginia. Since moving to Kerrville in 1982, she has made many contacts that help save you the aggravation of using the trial & error method when looking for the right person to assist you. She has owned and managed rental properties for over 25 years and can offer you her expertise in investing and managing real estate. Whatever your real estate need, Buying, Selling, Leasing, or Investing – call Bonnie. She loves living in “God’s Country”, where people aren’t too busy to care for their neighbors and friends. Check it out, you’ll love it too. Call Bonnie and let her 26 years of experience (in Texas) save you time and money. She knows, it’s not just what you know that makes the difference, it’s how much you care. Goal: To be your “Realtor for Life”.